Federal credit card fraud is a serious crime with severe punishment. Along with facing federal charges for violating 18 U.S.C. 1029, if you engage in credit card fraud, you could also be charged with conspiracy to commit fraud, money laundering, or identity theft. Your conduct affected interstate or foreign commerce. It is important to note that an act is committed knowingly if you are conscious and aware of your actions, realize what you are doing, and did not act because of ignorance, mistake or accident. Intent to defraud means that you must have acted with the intent to cheat or deceive someone in order to be found guilty of this crime. If you are convicted of federal credit card fraud, you face up 10 15 years in federal prison. If you are convicted of violating 18 U.S.C. 1029 for acts 1, 2, 3, 6, 7, or 10, listed above, you face a sentence of up to 10 years in federal prison, a fine of up to $250,000, or both prison and fine. If you are convicted of violating 18 U.S.C. 1029 for acts 4, 5, 8, or 9, listed above, you face a sentence of up to 15 years in federal prison, a fine of up to $250,000, or both prison and fine. You did not have intent to defraud – If you committed any one of the acts listed in 18 USC 1029 but did so without intent to deceive, then you should not be convicted of this crime. For example, let’s say you received a $1,000 gift card for your birthday from your parents. However, neither you nor your parents knew that the gift cards were stolen before being sold to your parents. In this case, you should not be convicted of federal credit card fraud because you did not have intent to defraud. Your actions did not affect interstate or foreign commerce – The act must demonstrate a connection with interstate or foreign commerce in order to constitute a federal crime. If it did not, your attorney may be able to raise this as a defense and possibly get the federal charges against you dropped. For example, perhaps you buy an item online amounting to over $1,000 using another person’s credit card information. Federal investigators find that the item you purchased was shipped from a manufacturer outside of California. However, it is later discovered that the item was purchased from a third party retailer online and shipped from its location in Northern California. If you are charged with federal credit card fraud in California and this information is discovered in your case, you should not be convicted of this crime. You had, or believed you had authorization – You may have been charged with violating 18 USC 1029 for unauthorized use of a credit card, but actually had authorization, or believed you had authorization from the user of the card. For example, you are away on vacation and your wealthy significant other allows you to use his or her credit card “for emergency purposes only.” While overseas, you ignore this warning and make a large purchase for an expensive piece of jewelry amounting to over $1,000 with your significant other’s credit card. Furious with your actions, your significant other reports this to authorities and wants to separate from you. In this case, a skilled federal criminal defense attorney can show that you were authorized to use the credit card at the time the purchase was made and that, although you did disobey your significant other’s wishes, you had or reasonably believed you had authorization to use the card and thus should not be convicted of federal credit card fraud. Can I be charged with violating 18 U.S.C. 1029 even if I do not make purchases? Yes, but only if you illegally possessed 15 or more cards. If you had fewer than 15 cards, you may still be subject to charges on the state level. Does 18 U.S.C. 1029 extend to fraudulent use or traffic of gift cards? Yes, so long as interstate or foreign commerce is still involved, the law does not differentiate between credit card and gift card fraud. If convicted, am I required to forfeit the money or items I illegally obtained? Yes. If you are convicted, you are subject to the forfeiture laws of Section 413 of the Controlled Substances Act, which requires forfeiture of all illegally obtained money or items in violation of federal law. The attorneys at Wallin & Klarich have been defending those charged with federal fraud crimes for over 30 years. Wallin & Klarich has been successfully defending those facing federal credit card fraud charges for over 30 years. We can help you, too. 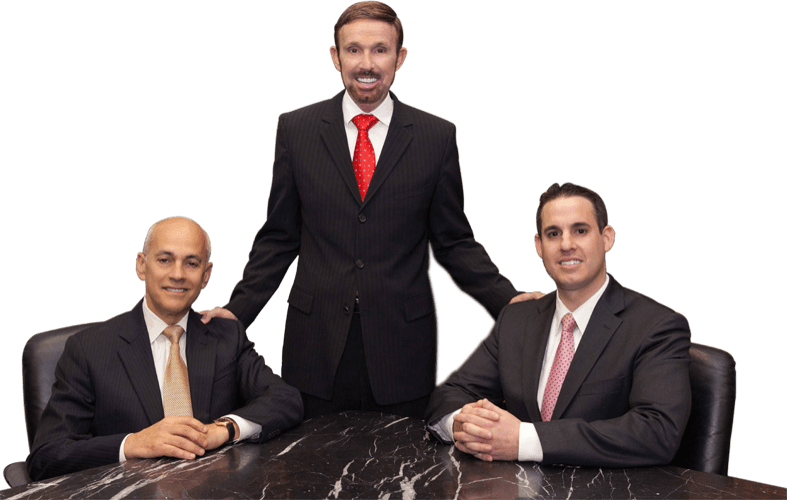 With offices in Los Angeles, Sherman Oaks, Torrance, Orange County, San Diego, Riverside, San Bernardino, Ventura, West Covina and Victorville, an experienced Wallin & Klarich attorney can help no matter your location. Call us at (877) 4-NO-JAIL or (877) 466-5245 for a free telephone consultation. We will be there when you call.